Daily discounts website Groupon has stopped offering all gun-related deals in North America including deals on shooting ranges and concealed-weapons courses, according to the NY Daily News. 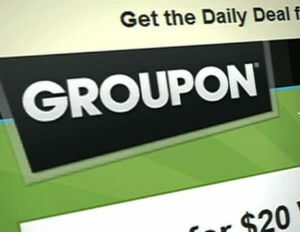 “All scheduled and current gun-related deals featured on Groupon North America, including shooting ranges, conceal-and-carry and clay shooting, have been placed on hiatus while we review internal standards that shape the deal inventory we feature,” Groupon spokeswoman Julie Mossler told AOL Daily Finance in an emailed statement.”The category is under review following recent consumer and merchant feedback,” she added. The move, which took effect last Friday, is a response to customer calls for gun-control in the wake of a string of recent school shootings, including the massacre in Newtown Connecticut at Sandy Hook Elementary in December.